With the singing of the bluebirds and the vanishing of the snow, spring is here and winter is fading. 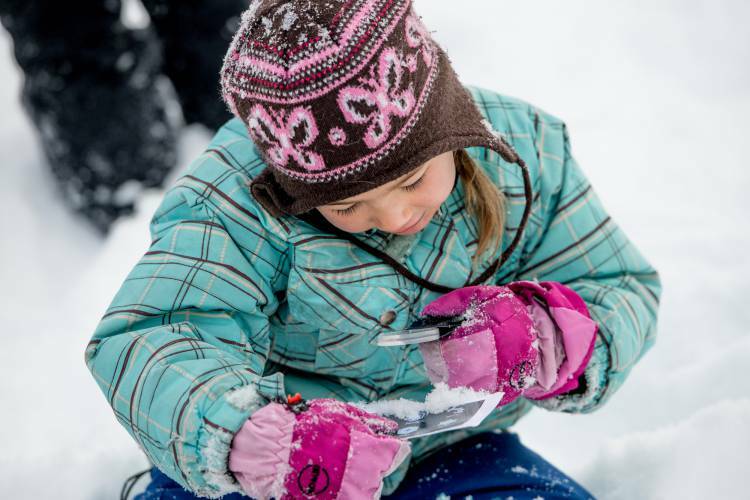 But thanks to Winter Wonder, Wildsight’s outdoor ecology program for primary students, the magic of winter has been woven into the minds and hearts of kids all around the Columbia Basin. This year, we took 2300 students out into wild places near their schools to investigate snow crystals through magnifying glasses, learn about animals’ winter coping strategies, look for traces of life and perform snowflake dances. 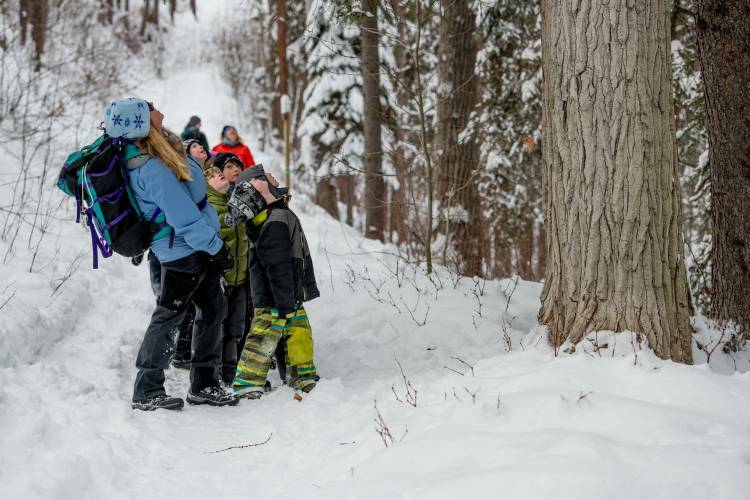 Winter Wonder is about awakening a sense of curiosity, learning about the interconnected webs of winter ecology and instilling a love of the natural world, in all its seasons and temperatures. We hope that after every single trip outside into the snow, the students come back with their cheeks a little rosier and their eyes a little brighter. “I love seeing a place come alive for these kids that they may not have noticed before. It’s one of the great pleasures of my job to awaken their senses and help create a deep connection to the natural world—to their home,” says Monica Nissen, Wildsight’s Education Manager. Thank you to our generous funders and donors who make these programs possible. You are making an enormous impact! We gratefully recognize the support of Columbia Basin Trust, the Province of British Columbia, Teck Coal, Fortis BC and Columbia Power for Winter Wonder programs. All photos by Julie-Anne Davies Photography. Why is BC allowing toxic water pollution to flow for centuries? We must protect all of BC’s mountain caribou, before it is too late. Join us and send a letter to Environment Ministers McKenna and Heyman letting them know that you demand ground action, now. Wildsight Golden Branch is looking for an outgoing, well-organized, and dynamic person to assist the Outreach Coordinator and Wildsight Golden with community programs, projects, and events. Camp Counsellor: We are seeking a team-oriented, creative and energetic person to fill this seasonal position. The successful candidates will have a strong interest in working with children, and will be dedicated to providing quality care, role modeling and learning about environmental education. Wildsight KimCran AGM + Nature Appreciation Extravaganza! Wildsight Invermere AGM (7pm) and film night (7:30pm). Treeline: a Story Written in Rings. This is a chance to get caught up on what we've been up to in 2018/ The evening will include a brief forestry update in the Columbia Valley by John Bergenske, Wildsight Conservation Director. Join in the Yard Sale Trail on Saturday, May 25 from 9am to 1pm! For updates on local events and programs.